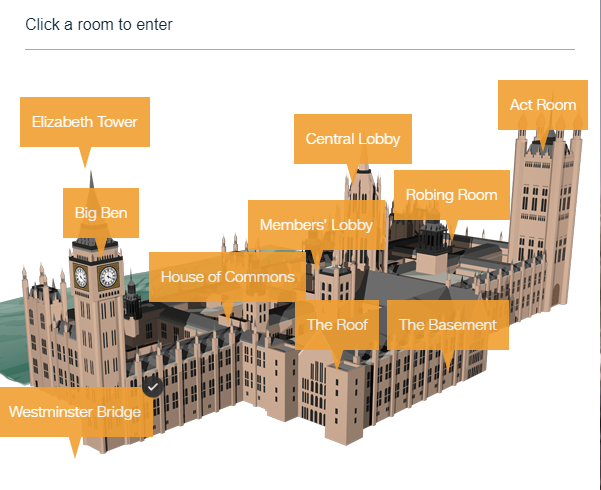 The Houses of Parliament is shown in an interactive story told in a set of ten 360 videos, starting from Westminster Bridge. It has been developed by CNN. Each section is narrated and there are also labels to click on where further information can be found. Viewers click and drag around the image to see a 360 degrees view. The explanations in the narrations for each video are very clear, some of the concepts may be a bit sophisticated but over all it uses very straightforward language. The basement, of course, is the site of the gunpowder plot and that is mentioned in that particular video! The upcoming bonfire night may be a good time to show a little of this great historic building in school! All in all, this is a fascinating bit of work carried out by CNN and is well worth spending a few minutes exploring, if it fits with your curriculum – it certainly demystifies the building itself!